I’ve been in a bit of food rut here lately. I know, hard to believe with a food blog and all…but weekly menus have been hard. Normally, I have a laundry list of way too many recipes. Lately, nothing has enticed me so I resorted back to some of my favorite flavors. Last night, Kristen and I made quite the menu. It was a ladies night in with food, wine, music, and comfy clothes. It was just what we needed in this wintery Michigan weather after a long week. The potatoes we made had GOBS of apple cider vinegar in them. The chicken was slathered in dijon mustard as its “glue” for the breading. Dessert was a sweet & tart lemon flavor. So many flavors. So much to enjoy. To say it was inspiring for dishes to make is probably an understatement. The favorite flavor in this recipe: lemongrass. A very fragrant and sweet lemony flavor that is used heavily in Thai cooking, lemongrass brings a light and fresh flare to this meal. A one-pot meal that comes together quickly is my kind of meal. The lemongrass really is the star in this one. 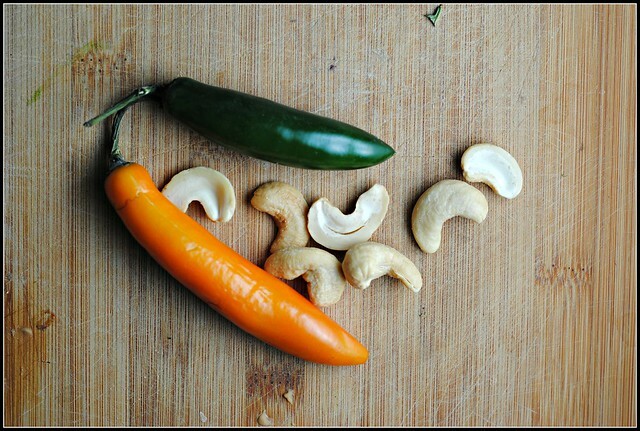 …and the cashews. I love that crunch! Heat a large wok or large skillet over high heat. Add 1 tablespoon oil; swirl to coat. Add lemongrass and garlic; stir-fry 30 seconds. Remove from pan with a slotted spoon; place in a small bowl. Add bell pepper, shallots, and haricots verts to pan; stir-fry 2 minutes. Remove vegetables from pan with a slotted spoon; add to lemongrass mixture. Add remaining 1 tablespoon oil to pan; swirl to coat. Add chicken in a single layer; cook 2 minutes or until browned. 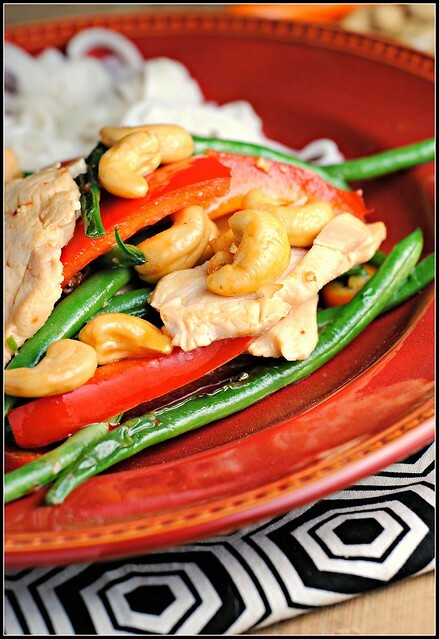 Add cashews and chile to pan; stir-fry 2 minutes or until chicken is done. Stir in stock mixture and vegetable mixture. Bring to a boil; cook 1 minute or until sauce begins to thicken. Serve immediately. Result: I loved the flavors in this – and don’t fear the fish sauce…it’s what ties together all of the flavors perfectly. 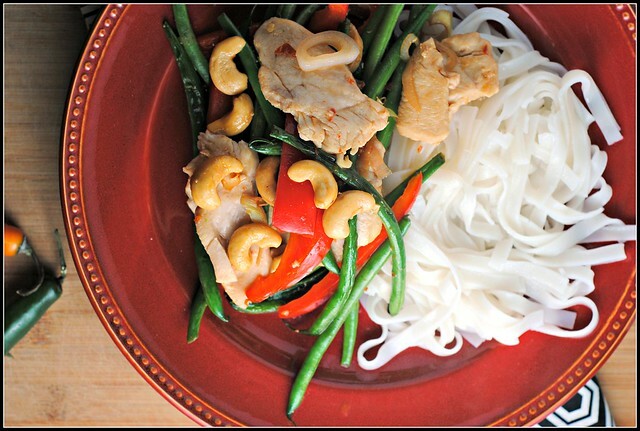 This is a quick meal and paired great with some boiled rice noodles. 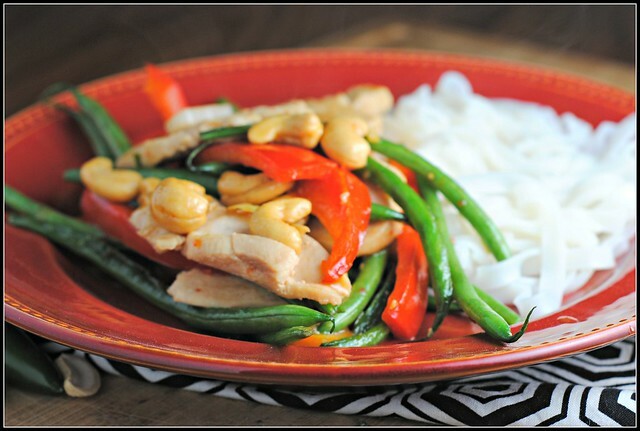 I would’ve never thought to put haricots vert in stir fry, but yum! I’ve never used lemongrass; the chicken sounds really good! And you weekly menus sounds great, too. I love lemongrass too, not that I can find it pretty easily – love the citrus notes. Hooray for good food, great friends and comfy clothes!! Yum! 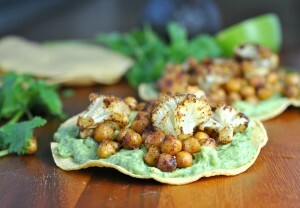 I bookmarked this in last month’s Cooking Light – glad to hear it was just as good as it looks! This looks wonderful! I’ve never used lemongrass… I don’t even know what it looks like! 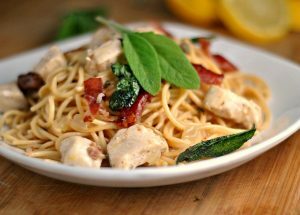 I have most of the non-fresh ingredients for this on hand, though, so maybe I’ll have to try it!